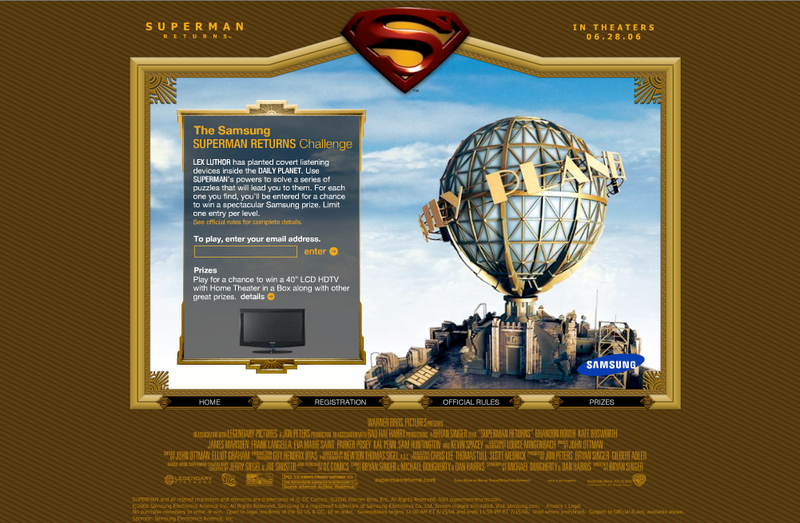 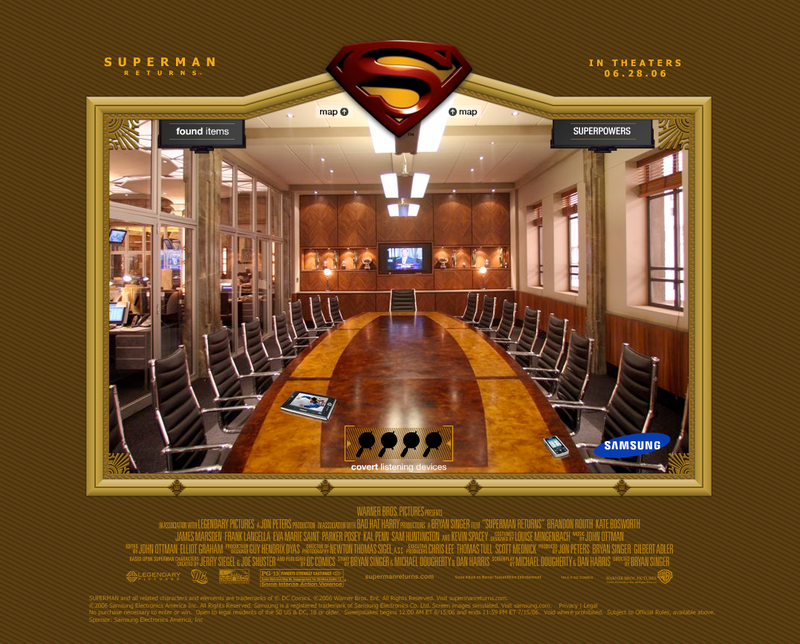 As part of a cross-promotion for the movie "Superman Returns", we built an interactive scavenger hunt style puzzle. 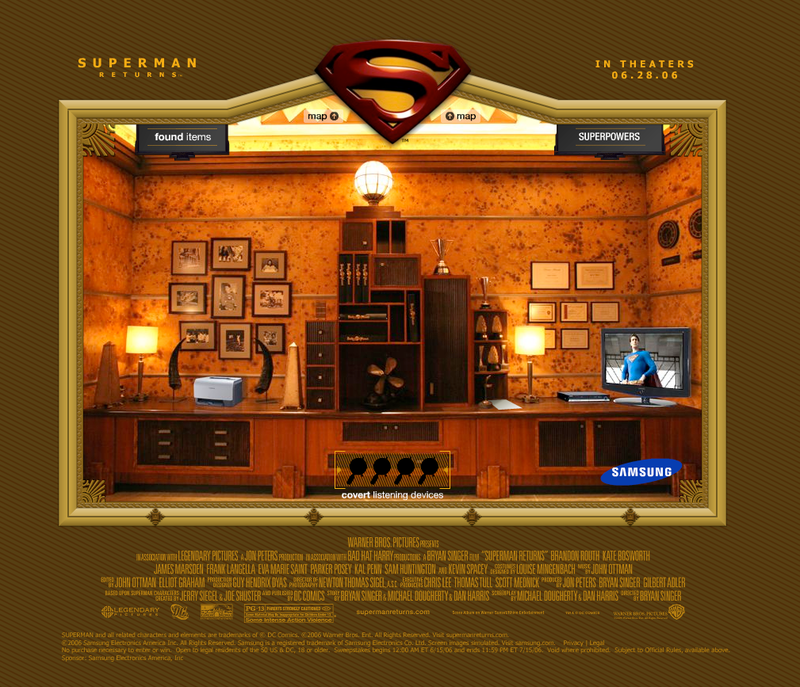 The gameplay is actually quite difficult, requiring the user to solve puzzles in order to find the objects. 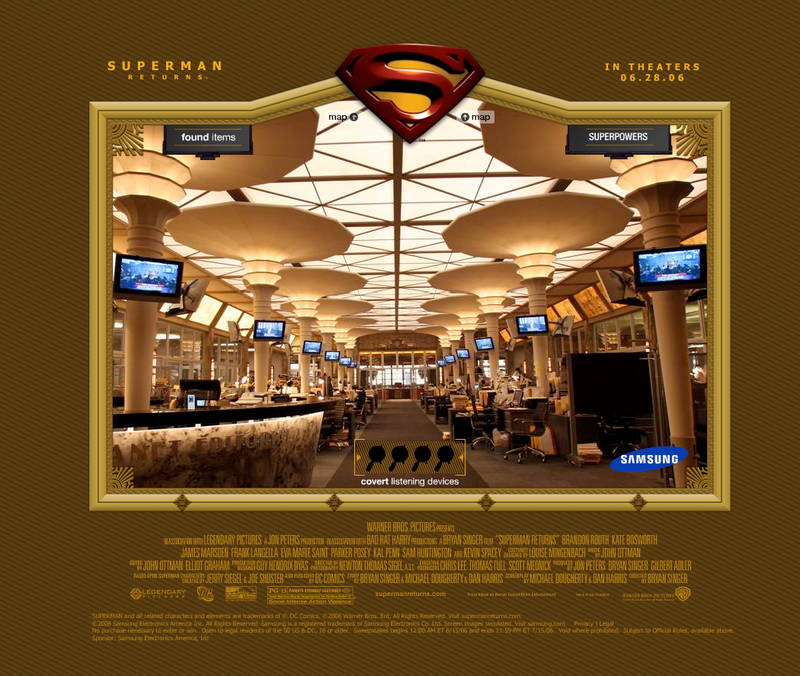 The user was entered into different prize drawings depending on how well they did.